Exactly one year ago today we officially became full-time RVers. We’d already spent over a month in the Airstream on our shake out cruise to Yellowstone, and we’d been breaking up the work of getting rid of all of our earthly belongings by doing a week of purging followed by a week off exploring in the trailer. But there’s just something about the finality of closing the door of an empty apartment and handing over those keys that makes it the date you remember and celebrate. It’s been quite a ride with many ups, downs and unexpected twists. I’ve written a lot this year about the challenges of full-timing and that it’s not quite the free-wheeling adventure you might picture. But today, in the spirit of celebration, I’m just going to share our favorite moments. We started working for ourselves. While Shoam’s been freelancing for several years now, this was my first full year of being my own boss. Although I no longer work 60+ hours a week, I feel more productive than ever and much more capable of something resembling balance. I do still miss my team though — I worked with an amazing group of people and I wish pretty much daily that I could grab a coffee or stop and chat with them. Plus, they didn’t pick their belly button lint during company meetings like my current coworker has been known to do. We got to explore places we love, but never had the time to get to. I got to show Shoam Maine and Acadia National Park, which may be my single favorite place on earth. Capturing the sunset atop Cadillac Mountain. Navigating the fog on the Schoodic Peninsula. We also got to dive into a lot more of Colorado. While Shoam was born in Denver and we visit often, our brief trips have always been centered around the city. This year we spent a couple months bouncing around campgrounds from Fort Collins down to Salida and found something to love everywhere we went. There’s so many more breweries much more to do there and we know we’ll be back to revisit our favorite spots and find new ones. Hiking into the sunset in Fort Collins. Drinking all the beer (both of these are actually Shoam's). A sunny stroll in Boulder. We launched a lifelong love affair with the Southwest. Joshua Tree, Sedona, Tucson, Bisbee, Taos, the Organ Mountains. These landscapes are so surprisingly lush, in their own prickly way, and there’s no more beautiful place to watch the sun rise or set. But they look so soft! A chilly day in Joshua Tree National Park. We got to see family. We spent a ton of time with family, moochdocking in both California and Massachusetts, having my folks out for a Grand Canyon road trip and attending two of my cousins’ weddings this summer. We just left Denver after a month with Shoam’s grandfather, and we’re currently parked in Taos, NM, where his mom just moved. While I’m sure all of our parents will say they still don’t see us enough (it’s nice to be loved), we haven’t had this much time with our families in one year since we lived at home. Thanksgiving 2016 in Sonoma, CA. Grand Canyon road trip, February 2017. We also got to visit friends who live in far flung, exotic locales like North Carolina and Maryland. An old friend from Shoam’s agency days let us camp out in his driveway in Durham and invade his family’s life for a few days. He and his wife showed us around the best farmer’s market we’ve ever been to (sorry Portland!) and planned a dinner out in Saxapahaw (yeah, I can’t pronounce it either), a gem of a tiny town along the Haw river (I’m not making these names up). Their son Oscar made us pretend PB+J sandwiches (for him) and a pork chop (for Shoam) in the Airstream (kids love this thing) and called me “Miss Celena” all weekend — adorbs. Shoam’s friend Benji also happened to travel to Durham for a music festival that weekend and we got to sweat it out though a heat wave, catch up, eat the world’s slowest fast food and check out the city together for a couple days. Later in the summer, our friends Sara and Andrew and their son Oliver came to the eastern shore of Maryland to camp out with us for a weekend. We grilled pizza, toasted s’mores and shared silly stories. We also got to know the sweet, hilarious boy they’re raising who has created my favorite game of pretend ever, in which he runs a restaurant that will serve you absolutely nothing you order. This kid’s gonna make a killing in L.A. some day. My best friend Sarah (when you’ve known each other since you were 5, you’re allowed to use phrase “best friend” as a grown woman) also came out for a night and we went out to drink too many margaritas and meet her fiancé in Annapolis before having a sleepover, complete with ice cream. I could go on and on, but this is a blog post, not an Oscar speech. If we saw you on the road (Krista, Vieng, Martin, Lee, Dawn, Jeremy, Danielle, Janet, Phil, Ginny, Julia & Rob), thank you — you made our year! Meeting up with Laura and Kevin from Chapter 3 Travels at Citizen Cider in Burlington, VT. 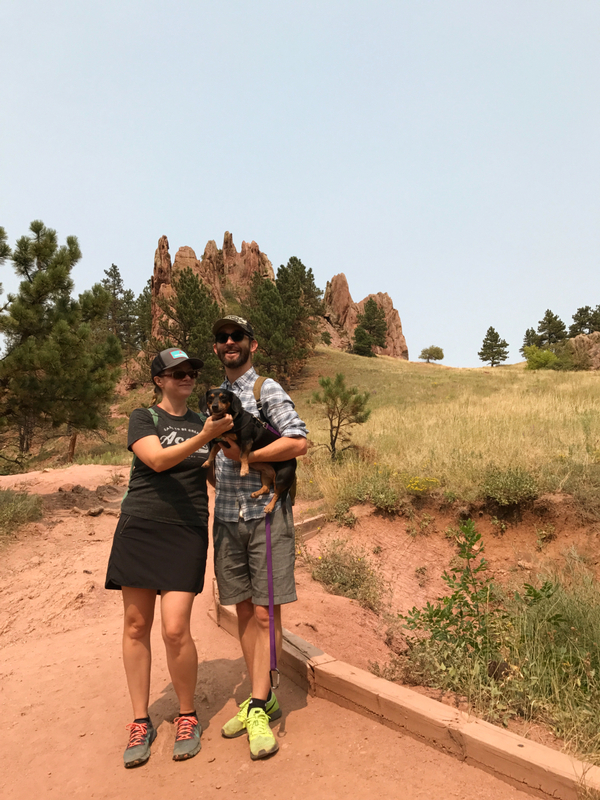 Living Driven, Chapter 3 Travels, Kermit & Trinity, Ready Set Airstream, Follow Your Detour, Life Without Waiting — thanks for meeting up this year! For those of you weirdos without a clever moniker and an internet presence, we loved meeting you too. Happy travels, and here’s to whatever (and wherever) the next year will bring all of us.